In beautiful India there’s always time for a festival. Recently it was Ganesh’s turn to be celebrated. Welcome to Ganesha Chaturthi – Ganesh ‘festival. 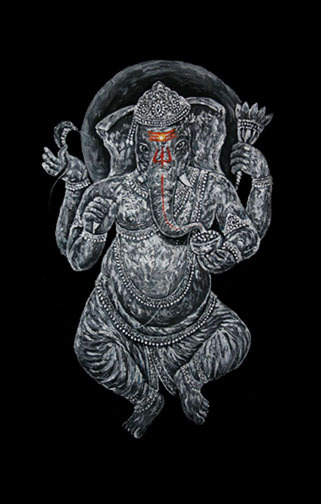 Hindus celebrate the birthday of the colossal God with proboscis – Lord Ganesh, also known as Gajanana (Elephant-faced Lord), Devendrashika (Protector of All Gods), Kaveesha (Master of Poets), Lambodara (Huge belly Lord), Vignavinashanaya (destruction of all barriers and prevention), Akhurath (He who has Mouse as his chariot man, or any of the 101 names he is known.